A new report by The Global Financing Facility in support of Every Woman Every Child is shedding light on advances in sustainable and innovative finance for reproductive, maternal, newborn, child and adolescent health and nutrition (RMNCAH-N) in 16 priority countries. The Global Financing Facility Annual Report 2016-2017: Country-Powered Investments for Every Woman, Every Child was launched on 23 May 2017, during the EWEC event Country Experiences in Improving Women’s, Children’s and Adolescent Health Outcomes at the 70th World Health Assembly in Geneva, Switzerland. The Global Financing Facility in support of Every Woman Every Child is helping countries to change the way they finance reproductive, maternal, newborn, child and adolescent health and nutrition (RMNCAH-N) priorities in order to accelerate progress against the EWEC Global Strategy for Women’s, Children’s and Adolescents’ Health. Country-driven partnerships are growing and gaining momentum. The number of partners joining the GFF—in support of EWEC—as co-financiers in countries is increasing as investment cases are developed. For example, in Cameroon, the investment case is being financed by a wide range of partners, including the Agence Française de Développement, BMZ and KFW (the German government), Gavi, the Global Fund, the Islamic Development Bank, UNFPA, UNICEF, WHO, and the World Bank, in addition to the Government of Cameroon. Similarly, in Liberia, financing is being provided by DFID, the European Commission, Gavi, the Global Fund, Irish Aid, UNFPA, WHO, and the World Bank, as well as the Government of Liberia. The GFF—in support of EWEC—targets the most critical periods of the lifecycle. The 1,000 days around birth, early years and adolescence bring particular risk for infection, death cognitive delay, depression, early pregnancy and violence. The GFF is bringing together partners with state-of-the-art knowledge to help shape these investments across multiple critical sectors, as seen in the planning for adolescent health and development in Bangladesh, Liberia and DRC. The GFF—in support of EWEC—creates space for innovative financing and private sector engagement. Efforts to-date include using grant resources for nutrition to “buy-down” interest rates based on program performance in Guatemala (with the government committing to re-invest the savings on interest payments in the program), a “development impact bond” that uses private sector resources to scale up kangaroo mother care in Cameroon, and an innovative competition that attracted more than 60 ideas to tackle service delivery challenges in conflict-affected parts of Nigeria. In 2017, MSD for Mothers also joined the GFF Trust Fund as the first private sector investor, contributing US$ 10million. Countries focus on data. 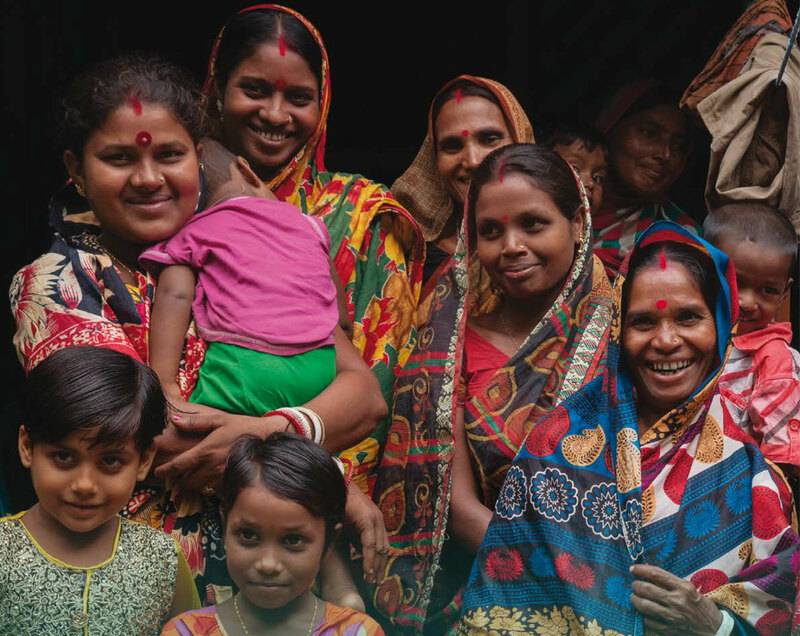 The GFF—in support of EWEC—emphasizes the importance of national civil registration and vital statistics systems (CRVS) to record life events and provide “real-time” data to guide evidence-based decision making. CRVS priorities are integrated into investment cases in many countries, with birth registration featuring as a key objective to provide individuals with legal identities and facilitate access to public services, including health and education services, social protection, and human rights. The strengthening of death registration and documenting the cause of death are increasingly featuring in investment cases, including in Kenya, Liberia, Mozambique, and Uganda. There is high and growing demand for the GFF—in support of EWEC. There are currently 46 eligible countries that have not yet joined the GFF that could benefit from its support. There are immediate needs for smart, scaled and sustainable financing to address potential and real reduction in development aid for sexual reproductive health and rights (SRHR) and other neglected areas, such as newborn survival and adolescent health and development, particularly in fragile settings. The GFF support to high burden countries represents 46 percent of the total financing gap for RMNCAH-N in 2015. GFF countries—Bangladesh, Cameroon, Democratic Republic of Congo, Ethiopia, Guatemala, Guinea, Kenya, Liberia, Mozambique, Myanmar, Nigeria, Senegal, Sierra Leone, Tanzania, Uganda, Vietnam—are in various stages of the process of closing their financing gaps by improving the efficiency of their spending, mobilizing domestic resources, increasing and better aligning external financing, and leveraging private sector resources. Nine of them are already linking US$ 292 million in GFF Trust Fund financing with US$ 1.3 billion in concessional financing from the World Bank Group to support RMNCAH-N (surpassing the target of a ratio $1 in GFF Trust Fund grant financing to every$4 of concessional financing). These combined resources help improve the use of existing financing by strengthening the alignment of donor resources behind nationally owned priorities, thereby contributing to reducing duplication and filling gaps.